For those who griped that the idea of a Finding Nemo sequel seemed creatively suspect, likely because they don’t have any real problems in their life that would preclude them from thinking seriously about a cartoon fish movie, Disney/Pixar has set out to stifle those complaints, somewhat. 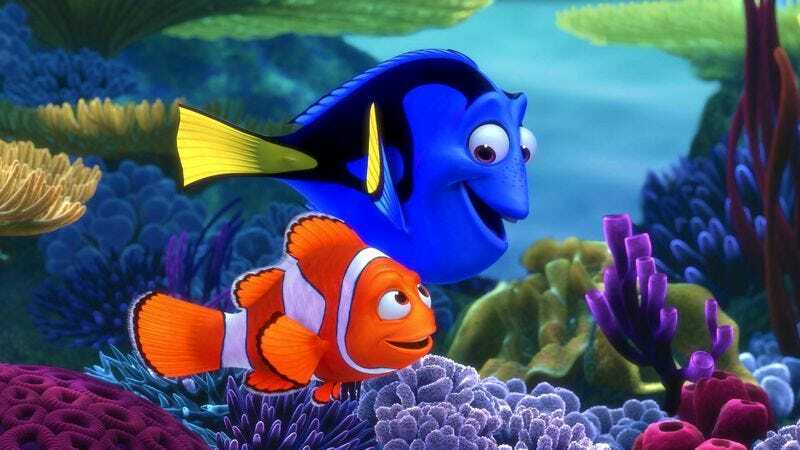 The follow-up will be titled Finding Dory, meaning this time it follows Nemo’s forgetful, Ellen DeGeneres-voiced sidekick as she sets out to be reunited with her own family—not have Nemo’s dad once again lose his son, prompting him to declare that this must just be what fate wants, before setting out to meet some new tang fish. Dory’s newish adventure will debut on November 25, 2015 but take place only a year after the events of the 2003 film, meaning you should spend the film yelling at those stupid fish to go warn everyone about the looming subprime mortgage crisis.